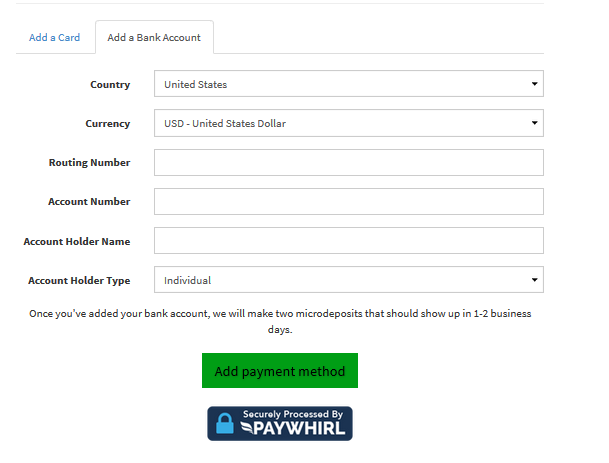 With PayWhirl you can not only take credit cards but we also support ACH banking transfers. These being far more secure have much lower rates then a typical credit card. 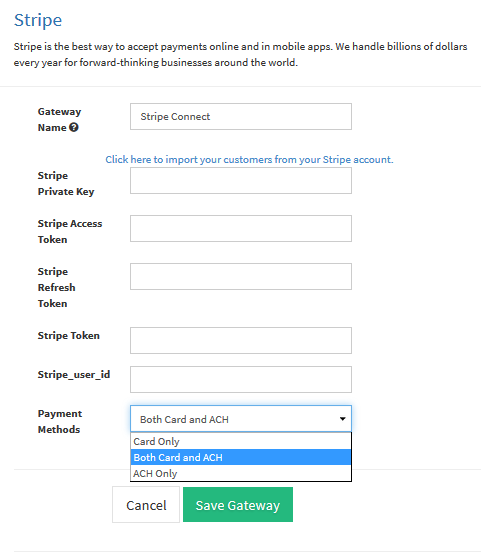 At the writing of this article the rates with Stripe are as low as 0.80% for ACH transfers. Combined with our lowest rates of 0.5% on our Ultimate Plan that can be less than 1.4% in total transaction fees!! 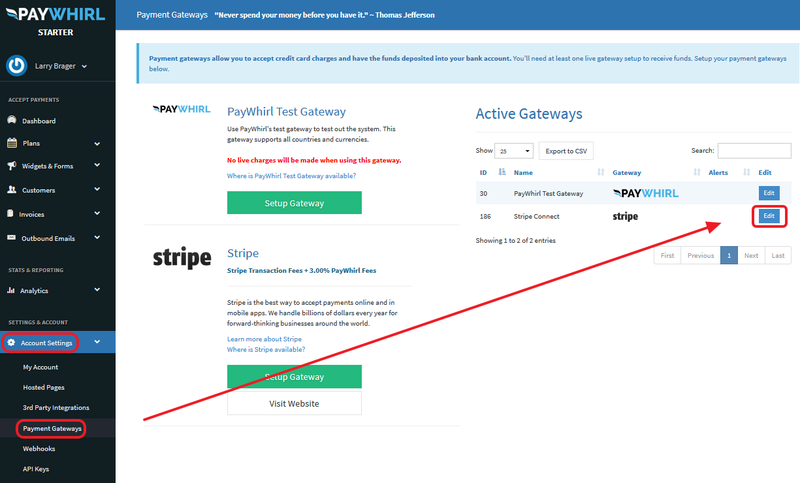 Note: These payments do require the user to confirm a micro deposit so they are ideal for larger transactions such as rental payments. 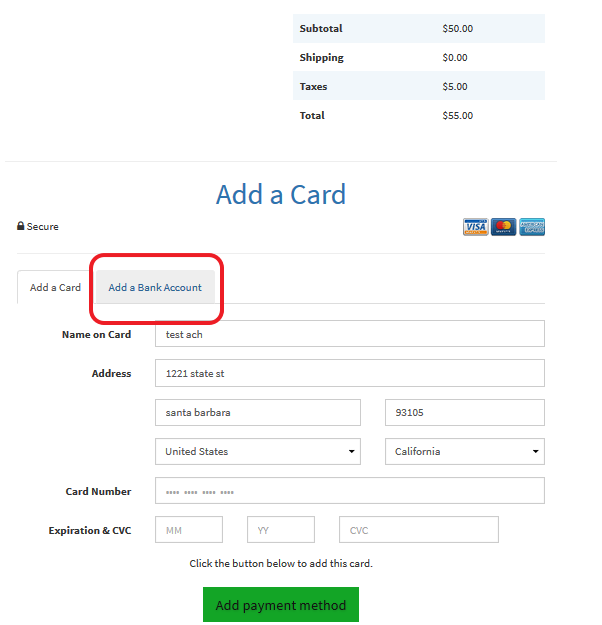 If you have both cards and ACH customers will have the option to choose at the time of payment.